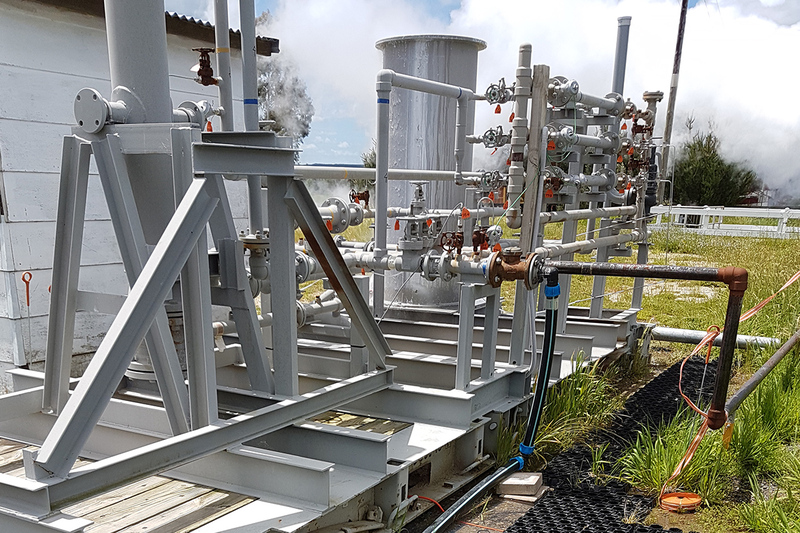 The Materials Test Rig was installed at Ohaaki Thermal Kilns earlier this year as an outcome of our AGGAT program, with generous fabrication support from some of our members. Currently undergoing commissioning works, early trials on the rig have confirmed significant scaling potential from the geothermal resource available on site. 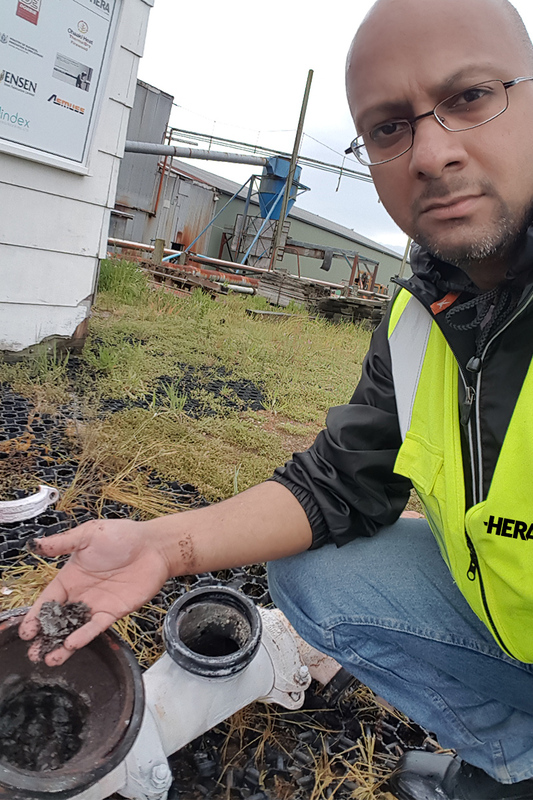 Ohaaki thermal kilns owner Mr Rod Vanner said it wasn’t surprising to see this happening as its a problem they face at their kilns all the time. Dr Sadiq J. Zarrouk, geothermal engineering expert from University of Auckland also went on to state that these magnetite scales are formed due to a combination of corrosion and scaling effects, which are a common occurrence and unfortunately unavoidable. “In any case, I believe the AGGAT Geothermal Test Rig will remain an asset for the geothermal community for many years to come,’ he said. 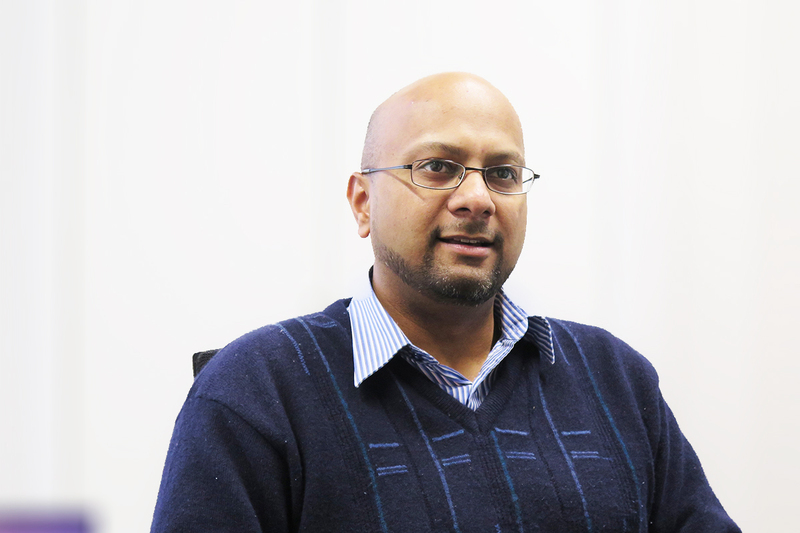 Our Industry Development Manager Dr. Boaz Habib has observed this extent of scaling during recent rig inspections and felt this was a positive result as it’s exactly what the rig has been set up for – to solve industrial problems in real field-based environments. Moving forward, several chemical companies have signalled their interest to use the rig to trial their anti-scaling chemicals which will begin from this year onwards. A separate set of work is also underway with the School of Chemical and Physical Sciences Victoria University investigating silica removal through dissolution. Principal Investigator Professor Jim Johnston and Dr Thomas Bormann are exploring the potential to transform dissolved silica into discrete calcium silicate nanoparticles prior to its precipitation. A piece of work that could see extensive cost savings for removal, workarounds and high operating costs such as those faced by kiln owner Rod Vanner. A series of trial work is planned for the year ahead. However, inquiries are welcome from anyone with geothermal interests who wish to explore field-based geothermal research potential with this rig. Industry Development Manager Dr Boaz Habib assessing extent of scaling in the rig. Materials test rig in operation at Ohaaki thermal kilns. 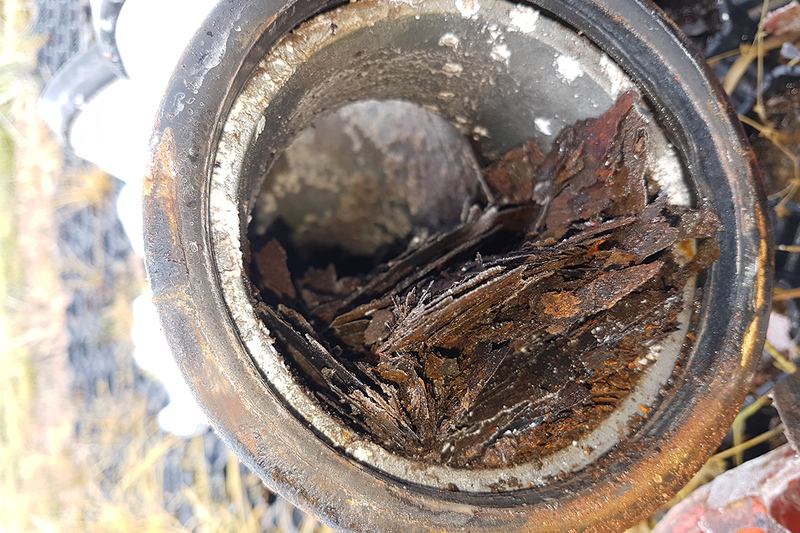 Magnetic scale deposits in pipes formed after silica reaction with iron in carbon steel.